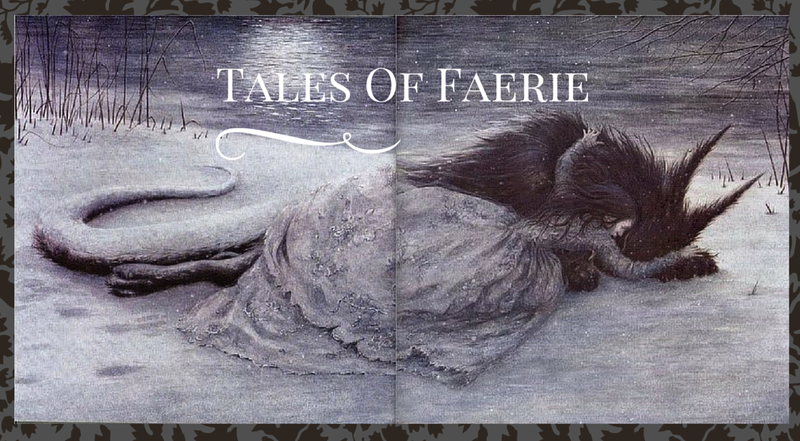 In Cinderella: A Casebook, Photeine P. Bourboulis argues for the likely origin of China for the fairy tale we now know as Cinderella in her essay "The Bride-Show Custom and the Fairy Story of Cinderella." 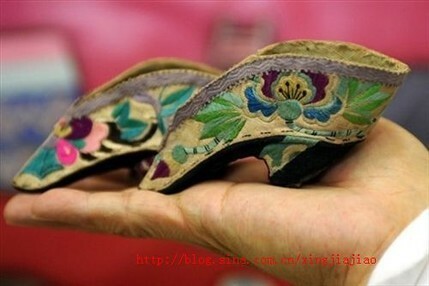 She mentions two specific customs that appear in the Cinderella tale-first, the ancient Chinese custom of a bride show. When a rich prince wanted to marry, he would gather several beautiful young women and choose between them. The other custom she mentions is the custom of foot binding. We can find other meaning in the foot test, such as an indicator of symbolic compatibility, but many readers are troubled by the question-why couldn't he identify her by her face? 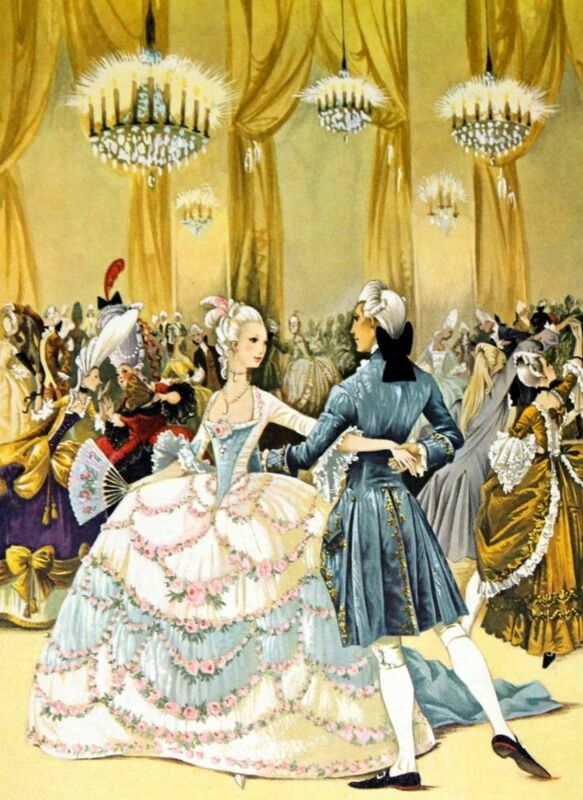 In some older versions of the tale, Cinderella had never even met the Prince. He just finds an unbelievably small shoe, one that no one else can fit into, and by that criteria alone, selects his bride. 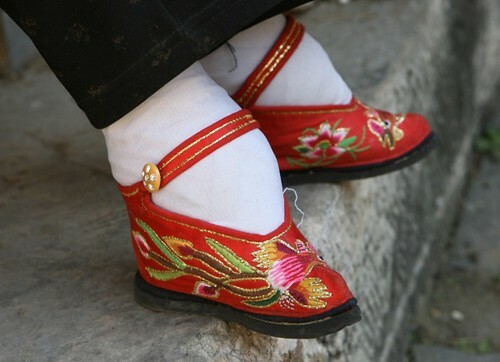 We aren't positive where Cinderella originated, but given the desirability of small feet in China, you can make a case for that being the origin. Yet of course the custom had some horrible ramifications for the women who endured it. I'll let the pictures and the quotes from Chinese people do the rest of the talking. "If a girl's feet are not bound, people say she is not like a woman, but like a man; they laugh at her, calling her names, and her parents are ashamed of her." "Girls are like flowers, like the willow. It is very important that their feet should be short, so that they can walk beautifully, with mincing steps, swaying gracefully, thus showing they are persons of respectability. People praise them. If not bound short, they say the mother has not trained the daughter carefully. She goes from house to house with noisy steps, and is called names. Therefore careful persons bind short." "Possessed of peerless beauty the ring of her admirers gradually increased, till at last she rose up to go. The excitement among the young men was intense; they criticized her face and discussed her feet..."
"One of a good family does not wish to marry a woman with long feet. She is commiserated because her feet are not perfect. If betrothed and the size of her feet not discovered till after marriage her husband and mother-in-law are displeased, her sisters-in-law laugh at her, and she herself is sad." "Girls are like gold, like gems. They ought to stay in their own house. If their feet are not bound they go here and they go there with unfitting associates; they have no good name. They are like defective gems that are rejected." From Madame Wu, a Chinese woman with bound feet: "I prefer eat to walk...In China not much use to walk, only around gardens at home. Chinese ladies not walk abroad like Americans. In streets they go in sedan chairs, always with chaperone." "But she could not get the toe into it, for the shoe was too small; then her mother handed her a knife, and said, 'Cut the toe off, for when you are Queen you will never have to go on foot.' So the girl cut her toe off, squeezed her foot into the shoe, concealed the pain, and went down to the Prince." "Any Chinaman will bear witness as to the seductive effect of a gaily dressed girl picking her way on tiny feet sometimes three inches in length, her swaying movements and delightful appearance of instability, converying a general sense of delicate grace quite beyond expression in words. "-quoted by Bourboulis from H.A. Giles' The Civilization of China, 1911. Sorry! I added a warning. Wow I didn't know how much went into girls making their feet fit into small shoes before. That's really sad how feet weren't accepted as they were. And how women didn't like walking anymore after that because of how uncomfortable it must have been for them. That's really sneaky of the men actually. I know! 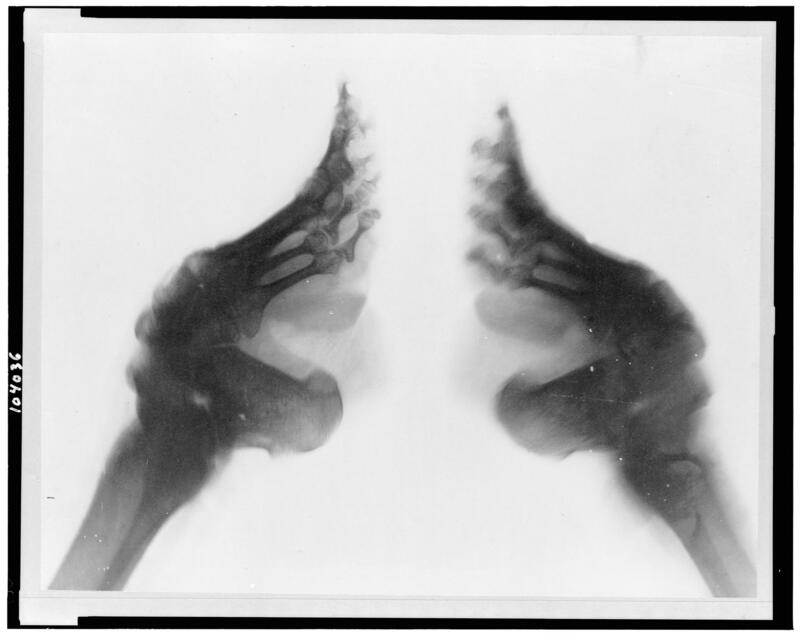 That's why I included the pictures, even though they are pretty horrifying...when I first learned of bound feet, I somehow thought that binding the feet kept them from growing, I didn't imagine them breaking the bones and destroying the feet like that. Some people compare bound feet to women who wear stilettos/heels today, and especially when you see the images, it's pretty clear that they're really not the same thing at ALL.